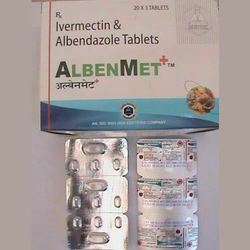 Leading Exporter and Supplier from Nagpur, our product range includes Anthelmentic Tablets such as Hetrazan 100 mg Tab, Wormin Tab, Banocide - Diethylcarbamazine Tablet, Ivermectin Tablets and Albenza (Albendazole) 400 Mg Tablet. Our company offers an effective and quality approved range of Ivermectin Tablets. The offered medication is used to treat certain parasitic roundworm infections. Curing parasitic infections it helps to improve the quality of life. Ivermectin belongs to a class of drugs known as antihelmintics. Our range works by paralyzing and killing parasites. 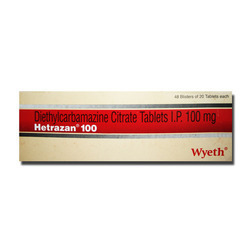 With the help of our distinguished professionals, we have been able to bring forth Hetrazan 100 mg. It is an anthelmintic drug that does not resemble other antiparasitic compounds. These medicines are processed under the close supervision of highly experienced and trained professionals following medical industry standards. 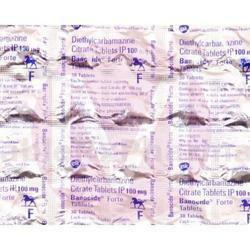 We are wholesale, trade, retail and export a premium quality range of Banocide Diethylcarbamazine Tablets. Offered medicine is a synthetic derivative of piperazine, used as an anthelmintic drug used in the treatment of filariasis in humans, dogs and cats. Besides, we make sure that these products are timely delivered at the destinations of our customers.